Meet the mysterious game of nature that has been created for millennia, far away from daylight and the man’s eye. Visit the underground world of the Baredine cave. This cave is a treasury of stalagmites and stalactites, underground sculptures realized by patient and long lasting work of water. In this way amazing crystalline forms have been created, out of which are particularly distinguished the ten meters long “curtains”, a very realistic statue of Virgin Mary, the Leaning tower of Pisa, the snowman – a torchbearer which became the trademark of the cave. 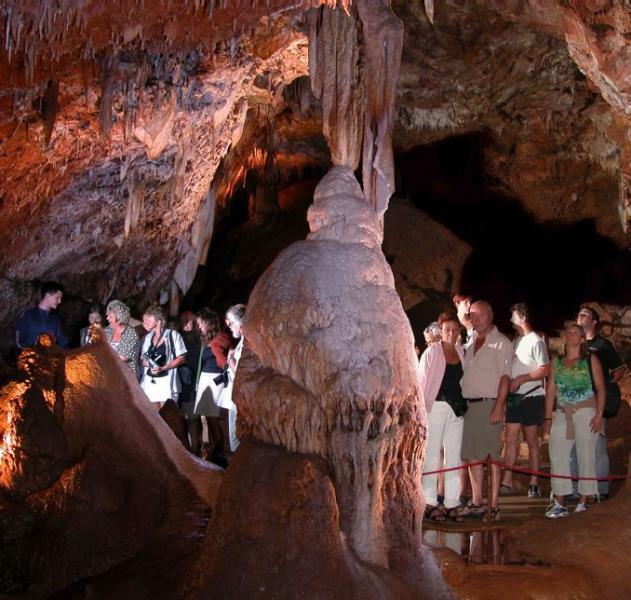 The cave is geomorphologic monument of nature since 1986, and it has been opened for visitors since 1995. It is situated in the western part of Istria between the towns of Poreč (8km), Višnjan (5km) and Tar (5km). The sightseeing lasts 40 minutes; visitors descend along a 300m long pathway up to 60m below the ground and an underground lake and visit five beautifully decorated chambers. 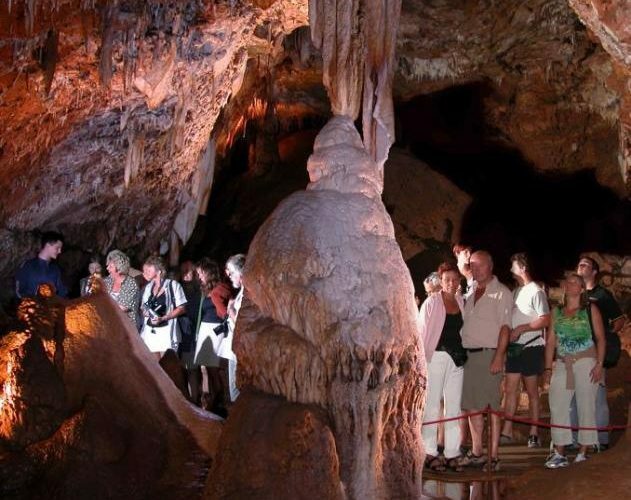 An interesting detail of this adventurous trip is also the encounter with the underground world of animals: visitors will see the cave olm (Proteus anguinus), endemic of the Dinaric karst area. Guided tours start every 30 minutes with a guide (included in price) in the following languages: Croatian, Italian, German, English, and Russian. The cave is well lit and equipped, the paths and stairways have firm railing, and the temperature is very pleasant at 14˚C, so it can be visited without special clothing of footwear. and a speleo-climbing center – Speleolit. Next to the cave are a free parking lot (for cars and busses), a reception, a coffee-bar/buffet, souvenir shops, spacious playground for children, and area with domesticated animals and a pick nick area.